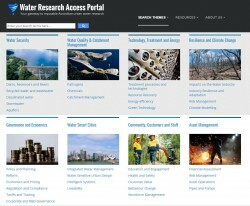 The Smart Water Fund knowledge hub, hosted by Clearwater since 2014, has recently moved to a new home: the Water Research Access Portal (WRAP). Smart Water Fund is winding up after 15 years of investing in research and managing over $66M in more than 230 projects, a significant legacy. To ensure we can continue to provide access to the reputable, relevant and high quality Smart Water Fund resources the knoweldge hub has been moved to the WRAP. Primary research: including reports, publications and frameworks. Learnings from research: grey literature such as case studies, conference papers, communication pieces, news articles, project evaluations and policy analysis. Tools of the trade: links to access methodologies, models and data. WRAP is a collaborative effort by a number of Australian research centres, government agencies, and industry and is managed by the Water Services Association of Australia. Find out more about WRAP and browse through the Smart Water Fund resources.